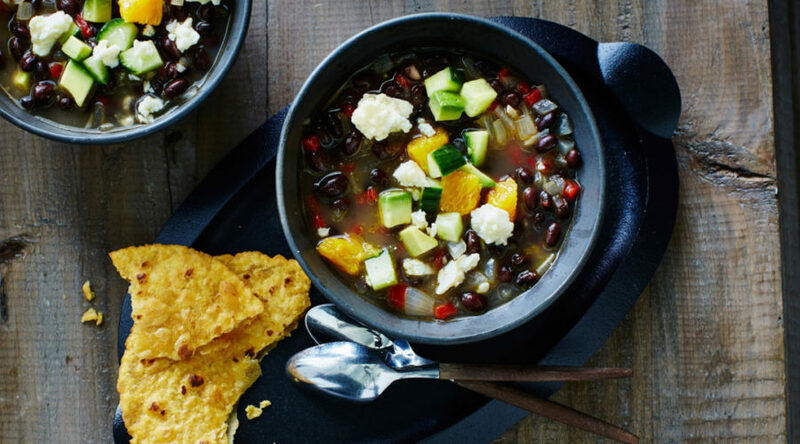 One of our favorite one-pot meals, this Southwestern-inspired soup hits all the right notes: solid protein from the beans, crunchiness from the cucumber, creaminess from the avocado, a sweet hit of acidity from the citrus, and a hint of spice. Yes, this one-pot dish may seem a little old-fashioned, but it sure doesn’t come across that way when your house fills with incredible aromas of melted cheese and browning pork. This whole dish comes together in a mere 20 minutes, and is special enough to serve to guests. 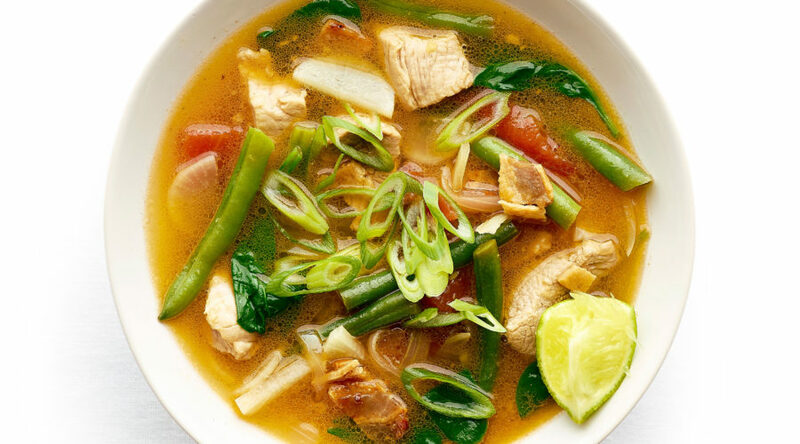 Tangy, meaty, and full of fresh vegetables, here’s a soup that banishes the winter blues. 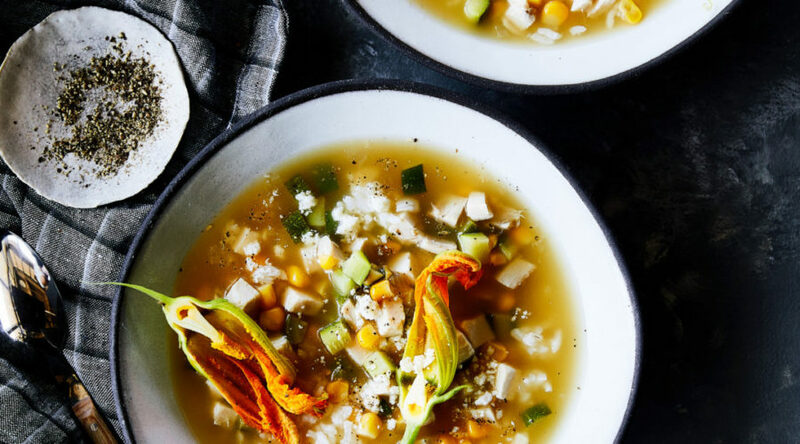 You won’t find zucchini flowers at colder times of the year, but that’s okay--they are optional. Serve with a stack of thick, soft corn tortillas. Sizzle vegetables in a cast-iron skillet with lots of rosemary and garlic and a bit of wine, then cover them with creamy leftover mashed potatoes and broil the whole thing until crisply browned. 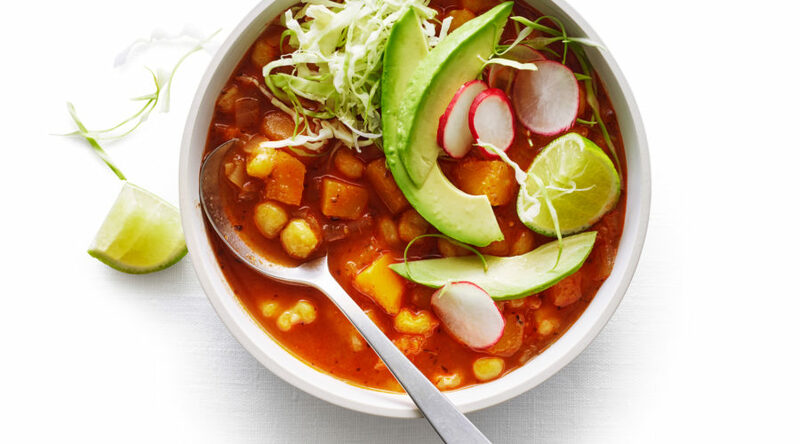 Few foods are as comforting as pozole, the hearty Mexican soup-stew filled with giant, chewy-soft kernels of hominy. 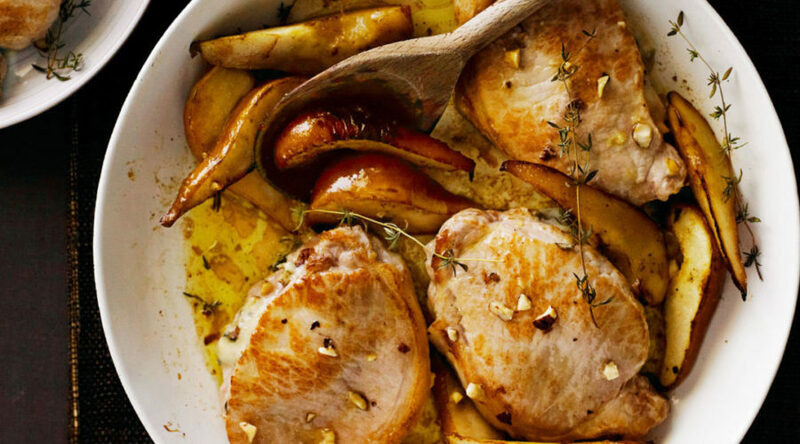 Instead of the traditional pork, we’ve used butternut squash, and it’s a new favorite. 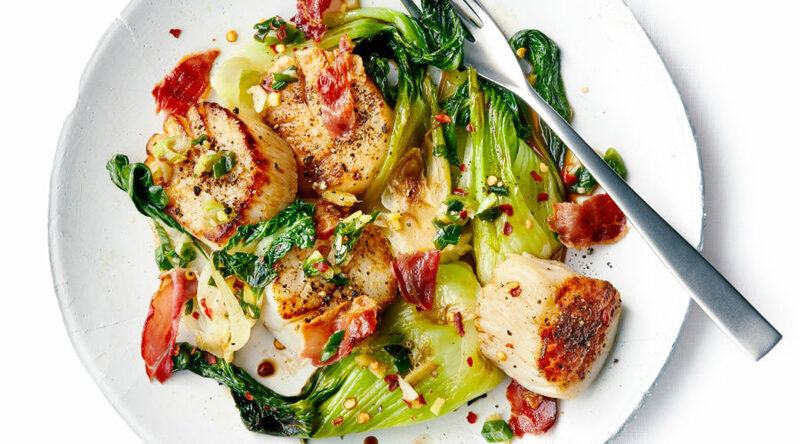 You’ll use a single frying pan for this surprisingly easy dish—first to sear the scallops, then to crisp up the prosciutto, and finally to simmer the bok choy. They all come together in a tasty tumble on the plate. 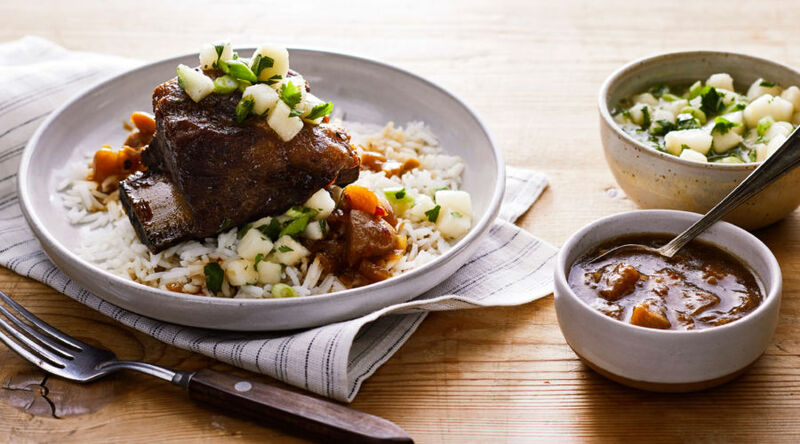 Who knew that pears with short ribs would be so delicious? 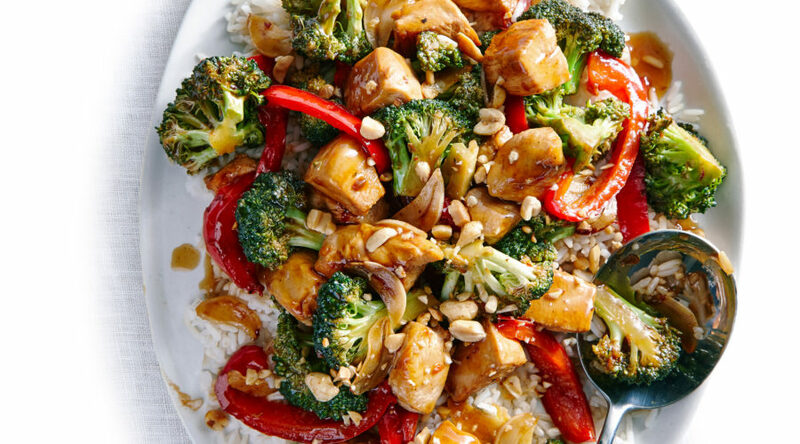 With assertive Chinese seasonings like soy sauce, ginger, and sesame oil to bring them together in this one-pot meal, they are indeed. 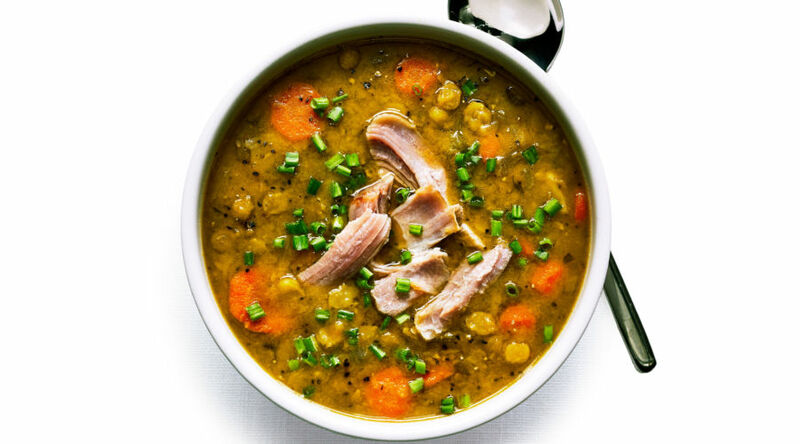 Just like ham hocks, smoked turkey legs infuse soups and stews with tons of flavor. If you don’t have a slow-cooker, just simmer everything in one pot on low heat until the peas are tender, which will take 2 to 3 hours on most stovetops. A weeknight go-to that doesn’t require a wok—you can make it in a large frying pan. 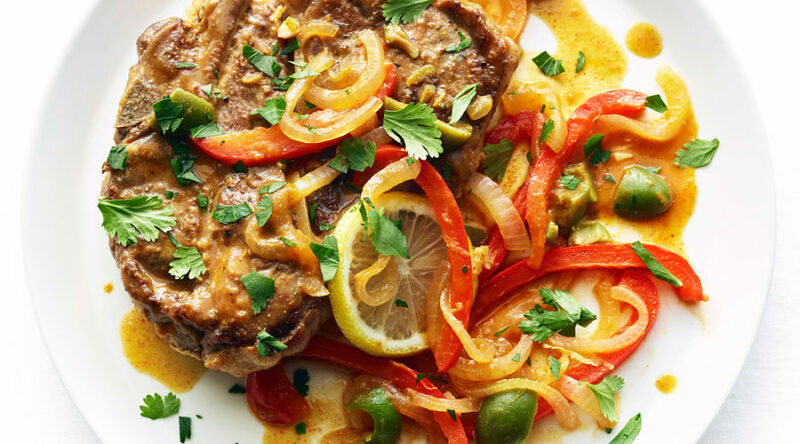 Our version of the tangy Filipino classic uses pork tenderloin, a quick-cooking cut. 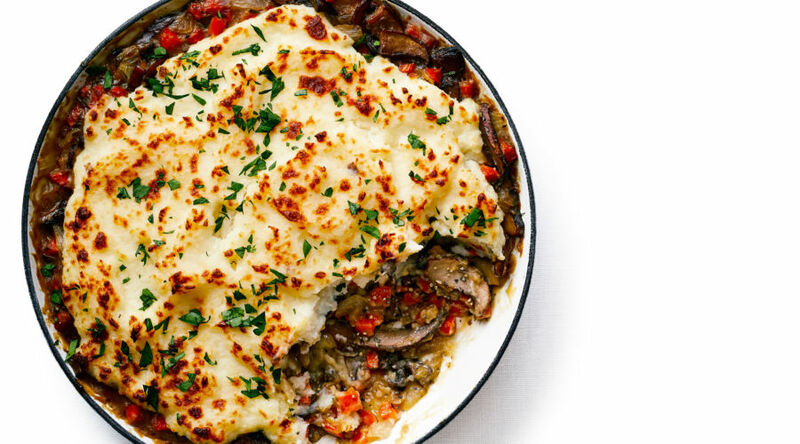 It’s a hearty, uplifting one-pot weeknight dinner. A large frying pan is all you need for this hearty, exciting dinner, on the table from start to finish in 45 minutes.